Four Loudoun County schools at risk for closure will remain open after hundreds of parents and students gathered at a shool board community meeting to plead with officials to keep the schools open. The Loudoun County School Board voted Tuesday to remove Lincoln, Aldie, Hamilton and Hillsboro elementary schools from its potential cut list. The schools were placed on the chopping block in an effort to fill a $38 million budget gap. 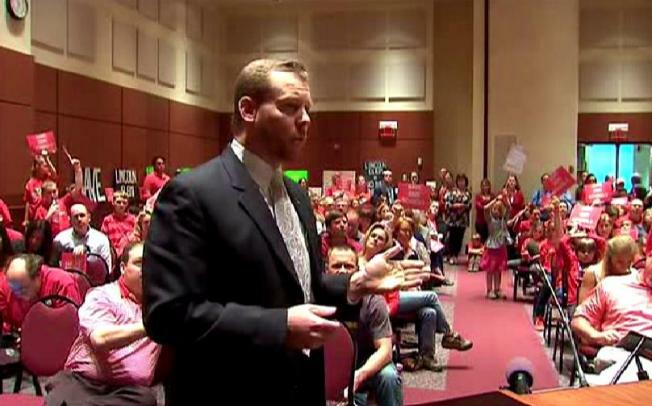 The decision came a day after the Loudoun County School Board community meeting, where 181 people spoke out against the potential closures. "Instead of closing these schools you should hold them up as an example of what should be," one parent said, holding back tears. Graham Balderson, a second grader up way past his bedtime, chimed in at the meeting as well. "I like my school, please don't shut it down," he said.